Service Vending Machine in less than 90 Seconds! This machine holds enough product to serve a company with up to about 35 or 40 people! If you can adjust your service cycle a bit, it’ll easily accommodate 50+ people! (We know because we’re doing it ourselves) Imagine how many machines your Route Drivers can fill per day if each stop only took them 90 seconds “key to key.” When we say, “Key to key,” we mean that from the time you unlock the machine until you lock the machine. All product filled, money collected, electronic audit complete. Done! The Revolution combines a high tech look and feel with simple, yet completely accountable operational qualities. The Revolution accepts nickels, dimes, quarters, dollar coins and a unique debit card which allows the customer to receive change from coin purchases. Welcome to Clear Choice International! Welcome to The Revolution. Built by Operators for Operators! 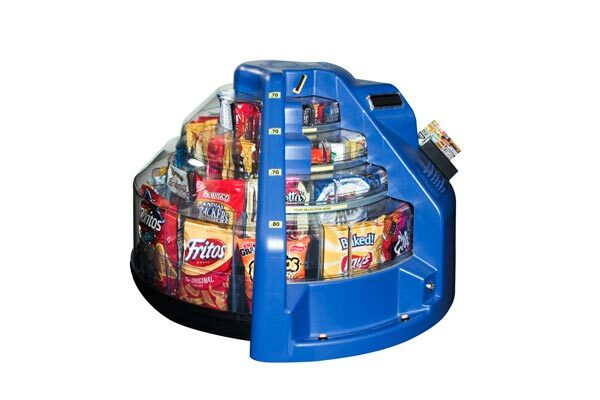 We have over 50 years combined experience in the Vending industry. We have established over 12,000 customer locations in 3 major U.S. markets.We can help you establish your own vending business using the Clear Choice Revolution and we can show you how to enhance those profits significantly by applying our knowledge and experience. Sometimes we are better off not asking friends or relatives for their opinion about our business decisions. The advice we get is not based on knowledge of our business or market trends. Generally, their advice is not qualified. The best way to make a decision about expansion is to review your history. How are you doing at getting and retaining customers. Do you keep them happy? Are sales per location getting better as we gain experience? Then, review what is the best way to expand your business. Check out other products in your market such as HonorSnacks or the Revolution. Ask yourself, if we don’t expand, will we keep our market share anyway? In order to dominate your market, you need market presence. You need to be in as many areas of your market as you can, it deters the competition. The longer you are there, the better off you are. Competitors will have a tough time moving you out. The timing for small location vending has never been better! HonorSnacks are perfect for the location with less than 25 employees. The Revolution is perfect for the business with 50-75 employees! Larger companies are laying off workers and moving to smaller locations. Downsizing is a fact. When you pursue smaller accounts, they will not have to give away profits because smaller accounts will not ask for commissions. They will be happy to have a vending service. Whether it is in the honorsnacks business or the small vending machine business! This model now designed for the United Kingdom and Europe. 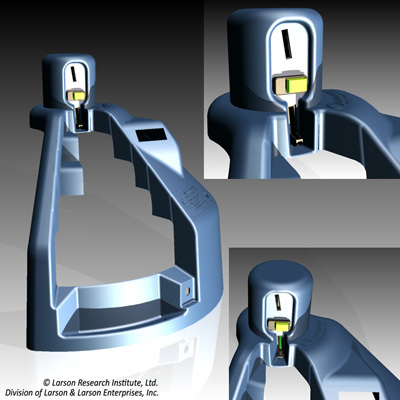 We have incorporated a new Coin Acceptor into the design that allows for the acceptance of coin from over 75 countries! South America is also coming online shortly and will be offered this same or very similar design. We all would agree, we spend more when we pay with plastic. For that reason, we want to be certain our customers can add value to their cards simply and quickly. This is one example of how additional credit can be added to the Clear Choice Revolution Debit Card. There are other ways as well, but let’s show the most common one here. Vending Machine accepts Coin and Card COMBINATION! Yes, you read it right, the Clear Choice Revolution Vending Machine accepts a combination of Coin and Card for payment. For example: if the customer pays with a $1 dollar coin and buys a 75 cents item, he can receive his change back on his card. If his card has only 50 cents in value and he wishes to purchase a 75 cents item, he simply swipes his card and drops a quarter to make up the difference. The Revolution Vending machine is so smart, it doesn’t even care which order you drop coin and swipe cards. When you perform and audit collection on a brand new Clear Choice Revolution vending machine, the system will request a serial number. Each Revolution vending machine has a unique serial number along with a barcode that is easily scanned and stored on the primary control board thus “serializing” the machine. The process is simple, quick, and automatic! The Clear Choice Revolution vending machine incorporates a closed system that utilized UCC-DEX for the transfer of pricing to each Revolution machine you have in the field. You need not rely on your Route Service person to properly handle pricing because you have complete control over the prices from your office desktop computer. Machine gives you change on your Debit Card! When a customer buys and item, they received thier change back on their card. We provide a complimentary IHDC or “In House Debit Card” to every customer. Imagine, no dollar bill jams! The most frequently service call on vending equipment is for a jammed or faulty dollar bill acceptor. The card reader is not only simple and easy to use, but we know from experience that it actually drives higher sales. You know as well as we do, people spend more money when using plastic! Simple to operate and service. The Revolution combines a high tech look and feel with simple, yet completely accountable operational qualities. The Revolution accepts nickels, dimes, quarters, dollar coins and a unique debit card which allows the customer to receive change from coin purchases. Copyright © 2019 The Clear Choice Revolution All rights reserved. Blue Grace theme by Vladimir Prelovac.